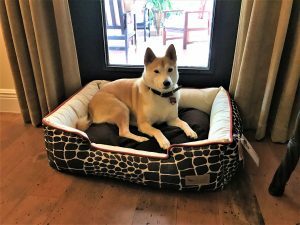 Saki Loves her Kalahari Lounge Bed. She feels comfortable and secure because the bed is the perfect size for her. We have washed it 3 times and it still looks brand new.